Ever found yourself wandering around town unsure of the buildings or landmarks you’re seeing, or being unable to identify that cute dog you saw in the park? Google Lens understands your environment and allows you to do just that - you can now access its features directly within the camera app on Xperia XZ2 and XZ2 Compact* (available out-of-the-box for XZ2 Premium) via a free update rolling out from today** . 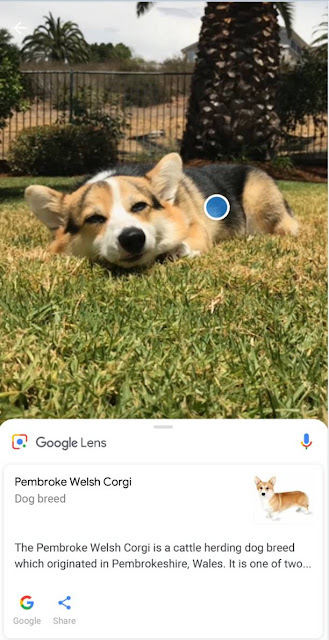 Google Lens helps you browse, and interact with the world around you. Find products online, copy and paste text, learn more about landmarks, add events to your calendar, look up movie posters, identify popular plants and animals, and more. Update the Google app to access Google Lens directly from the camera app on Xperia XZ2 and XZ2 Compact.